The City of Waupaca, Waupaca Online and Waupaca Area Public Library offer free Wi-Fi in various areas of the City. **Please note, this system is setup for general outdoor access. It is not setup to penetrate into buildings or vehicles. Comments, questions, concerns please contact us. E-Mail wifi@cityofwaupaca.org. I cannot connect to Waupaca Free Wi-Fi in my house/business/apartment. Our network is setup and optimized for an outdoor signal. It’s primary use is to allow people who are downtown Waupaca access to internet. If you would like to possibly connect indoors we suggest you position your laptop/tablet near a window. Is it okay is I replace my home internet service with Waupaca Free Wi-Fi? No. The system is setup for general access in the downtown area. We are not optimized to meet the demands of a home internet connection or to have a strong signal within buildings. This service is meant as a convenience for visitors in downtown Waupaca. If you are able to use the service from your residence we will not stop you but if we find any users abusing the system we reserve the right to limit their connection. What standards do you use? Waupaca Free Wi-Fi operates in the 2.4ghz range offering a b/g/n connection. By using Waupaca Wifi, you hereby expressly acknowledge and agree that there are significant security, privacy and confidentiality risks inherent in accessing or transmitting information through the internet, whether the connection is facilitated through wired or wireless technology. Security issues include, without limitation, interception of transmissions, loss of data, and the introduction or viruses and other programs that can corrupt or damage your computer. 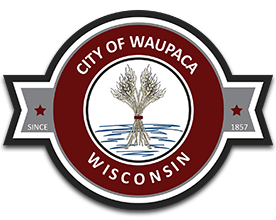 Accordingly, you agree that the City of Waupaca is NOT liable for any interception or transmissions, computer worms or viruses, loss of data, file corruption, hacking or damage to your computer or other devices that result from the transmission or download of information or materials through Waupaca Wifi. Waupaca Wifi is designed to provide general internet availability downtown Waupaca and other select public places around the City. It is not meant to be a replacement for your home internet service. Users found to be abusing the system may be subject to disconnection. The City of Waupaca reserves the right to modify, add, end or ban users to this service at any time. Is Waupaca Free Wi-Fi safe? Our system is safe for general internet activity. Each device connected is isolated from all other devices meaning your computer cannot “see” another computer and vice versa. If you are concerned about performing certain activity on our network we would recommend you do that from your secure home internet connection.